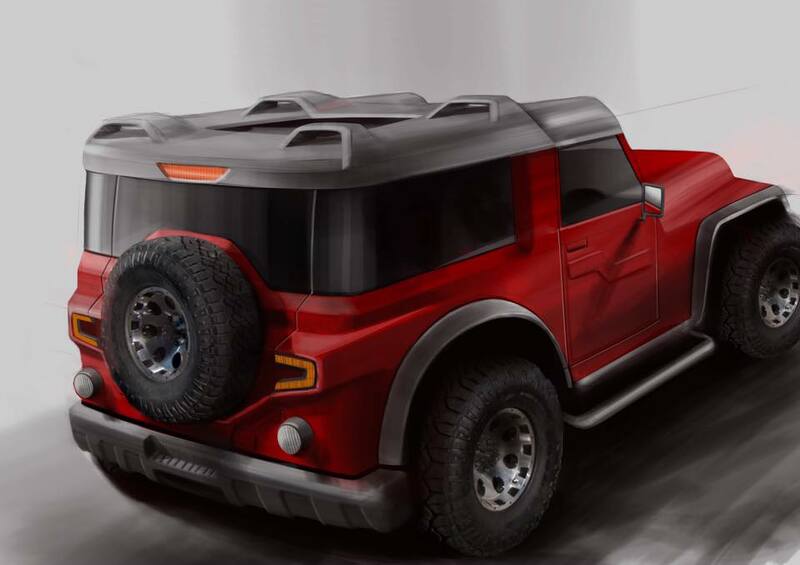 DC Design to Give Mahindra Thar a Makeover! The nose of the custom Thar by DC Design features a new bumper along with what seems like an integrated bullbar. It houses the front fog lamps. The headlamps and indicator could be replaced by full LED units. DC has designed a custom hard top for this mod job, which features a barrel like elements with integrated lights. Based on the sketches the hard top has been integrated rather well complete with a wraparound rear windshield. 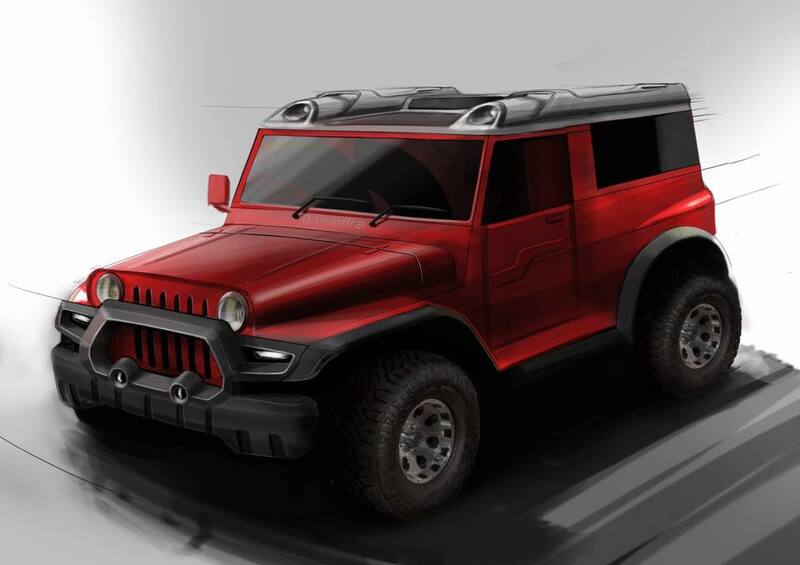 In the sketches here, the Thar also flaunts a new rear bumper, and new tail lamps, possibly LED units. The modified Mahindra Thar by DC Design also seems to carry meatier body cladding to compliment the fatter rubber. Again, these are mere sketches. The actual design could look different. While DC does have a habit of churning out car modifications that polarise opinion, this one here seems to be on their better works in recent times. DC Design may or may not make any changes to the cabin. They have not released any images of the interiors of this custom Mahindra Thar. As is the case with most DC mode jobs, this one too is purely cosmetic. So the engine and specifications remain the same. There might be slight changes in dimensions and weight, however. What do you think of the Modified Mahindra Thar by DC Design? Like or Dislike? Do let us know via the comments section below.